"You must keep in mind," Father Maximos continued, "that an icon is not a photograph of the physical face. For example, the icon of Christ represents the Person in both his divine and human nature. And the icons of saints represent their humanness at the end stage of Theosis, union with God. That is why iconographers are interested in portraying not physical characteristics of the particular saint but the spiritual essence of the theosized or the god-realized person." "The perfected individual," Father Maximos went on, "needs neither icons nor chants nor liturgies. But we are not perfect, and as long as we are not perfect we need aids like icons, psalms, chants, and the like. We find these aids in the Old as well as the New testament and they are always available to us as long as we have not reached our destination in union with God." Perhaps, being the imperfect person that I am, I came to Boston looking for some visable sign of Unitarian Universalist pointers to God. I need those reminders of tradition, the guidance of those who have gone before. I guess in reading Boston Unitarian, the blog, I thought I would find something here. I was looking for something which would inspire, give me hope, shed some light, motivate me to continue my search. Perhaps it is a retreat in a quiet and holy place that I was looking for rather than a trip to a modern American city. But as I have written, the Catholics go to the Vatican, the Muslims to Mecca, the Hindus to the Ganges, and the UUs go to conventions in random American cities. The Roman Catholic world which I grew up in was spiritualized, imbued with mystery and supernatural presences. This Protestant world I have entered seems very cold and sterile by comparison. Perhaps this is a good thing, to give up childish superstitions, and delusional beliefs, but in the de-spiritualized world of Protestantism, I don't find the inspiration of a Michelangelo, or the music of Bach, or the beautiful Cathedrals within which to worship. No, I am forced to look inward, into my own heart, which is where God, I am told, is, but it seems putrid to me at worst, and barren at best. I want my icons and chants and liturgies. As much as I hated them as a child, as an adult now, I understand their appeal. There is something to be said for tradition and standing on the shoulders of those who have gone before and found God. 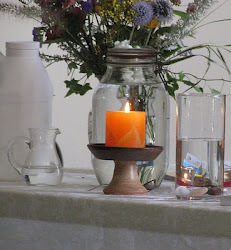 The only place I have found it in Unitarian Universalism is on the blog, Boston Unitarian. It is interesting how the virtual world is so much more substantive than the actual world. Perhaps it is the fact that reality rarely lives up to one's fantasies that has left me disappointed in the actual experience. To me there is a beauty and wonder to the idea that human beings created the Sistine Chapel and the Messiah, human beings that I take to have been inspired by God. Last time I was in Boston, I left feeling inspired and alive because I went to the Titian exhibition at the Museum of Fine Arts and took my husband and a friend of ours around, talking about the paintings and searching for meaning in them. I didn't go there to get inspired, I went there to give my husband and friend that tour. Inspiration followed. In the UU tradition, the pilgrimage we take is not a physical one to a bookstore in Boston, the pilgrimage we take is inside ourselves and into our relationship with that which is Holy. A trip to Boston would be easier, I'm pretty sure. We're different in that though I find inspiration, inspiration isn't something I look for. I don't have to because I am at heart a big rube who is constantly impressed with the world around me. Yesterday in the mails, I got a tatted lace bookmark that the education minister's mother had knitted as a thank you for my work as an advisor. I hold that delicate little handmade thing and I am humbled by its simple beauty. That my minister's mom did such a thing for me is all the inspiration I need for this morning at least. Anyway, inspiration seems to follow me, so I don't look for it. What I want out of UUism is more basic. I want to live an unambiguous life in a highly ambiguous world and UUism has the best system I've found for doing that. You do have expectations for UUism that seem strange to UUs, and I've often found that when you announce that we should be doing X or Y, you're talking about a program that had already been tried or is already in place. Doing a little more listening might help you make suggestions that were more on target. I know you really want to do external sorts of things like campaigning for peace and starting the Davidians and helping Robin and having a mailing list and talking about whether the UUA should be doing this or that for the congregations or reading theological books. I wonder if the key to feeling more connected with UUism isn't to be found in that flurry of activity. I've always found it in the quiet moments, the little conversations and the connections we build with other people. Does your church have covenant groups? If not, you might want to think about starting one. I wonder if all UU's would find (as I infer from your statement) David's expectations so strange or is this an observation based on your experience and perception? I have come across a few UU's who feel as David does in one way or another. For example, many of the members of my own Congregation, Channing Memorial in Newport, RI derive a great deal of spiritual inspiration from the beauty of our sanctuary and the Lefarge stained glass windows that adorn it (http://www.channingchurch.org/Sacred_Space/index.html). The imagery of the stained glass is very traditionally Christian, inspiring our members in that very traditional way. My impression is that we all join seeking something - David and myself no less than anyone else. You are right, though. We all need to listen better to each other. Something I know that I am imperfect at. I can see why you are so proud of your church. Don't mind Chalice Chick. I get a kick out of her. Every time I write anything which she finds even mildly challenging she immediately makes it all about me and what's wrong with me. I don't intend my observations and comments to be about me, but I use own experience by way of comparison and contrast if not agreement. Unitarian Universalism is a dying religion if you look at the numbers. More than 80% of the congregations have less than 100 members. Perhaps congregational polity is dysfunctional in the days of franchised operations. All churches though seem to be dying except the Charismatic independent fundamentalist ones. But the Mormons seem to be doing OK as well as the Buddhists. UU must do something or we will go the way of the dinosaurs. Our churches will become museums as most have become already. I'm not making your spiritual journey about you, David. 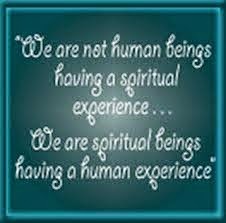 Your spiritual journey is about you. Not what you're given by an external source but what you get out of things. That's my general point. UUism, when done correctly is hard work. I've been a UU for awhile. You're not the first UU I've seen to have your general approach. I think your enthusiasm is wonderful, but I would love it if you were able to harness that energy in a more effective manner. You would find less frustration and you would be able to help people out, and helping people out seems to be something you want to do. And yes, I've been hearing the "UUism is dying!" chant for as long as I've been a UU and the church has grown in that time while as Tom notes most other churches in America have lost hundreds of thousands of members. Since you seem upset I've been trying to help you out, but if my posts aren't making an impression, then I'm wasting my time. I'm sorry suggestions like "Since you're new, you might want to listen a little more and learn a little more before making dramatic pronouncements about the state of a religion that you still don't know all that much about or have much experience with" come across as me trying to boss you around. To my thinking they are really just common sense. But I get it. You've learned all about UUism that you need to know and you've made up your mind and I'm wasting my time. who has heard people talk about their desire for a more spiritual approach. The ones I like did something about it. But not doing something about it and complaining at great length on the internet is also a popular approach.